The Languid Lady Lepidoptera an image in my Cabinet of Curiosity series. 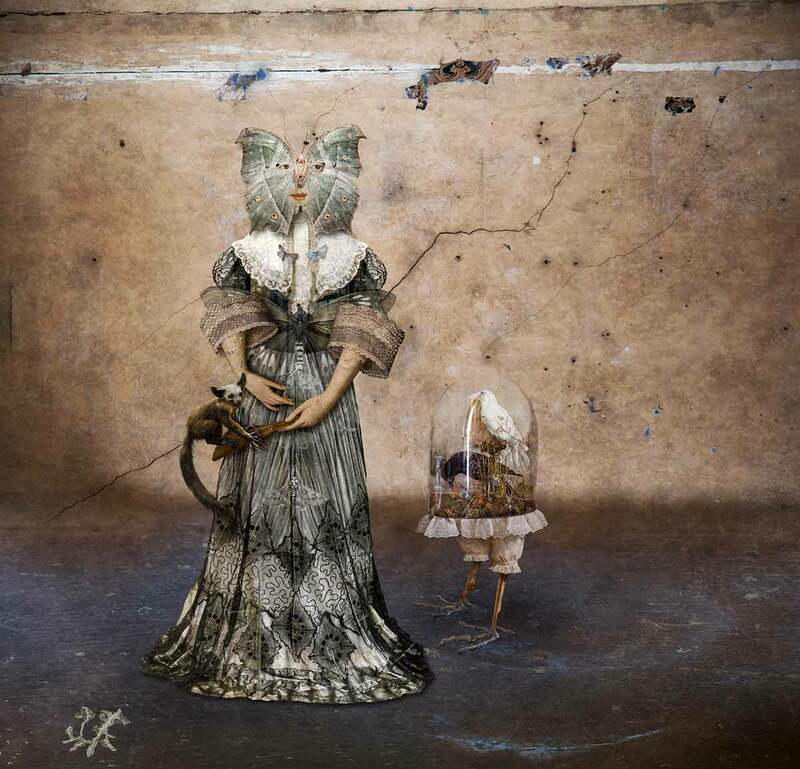 She is made from moths and butterflies and wears a nineteenth century dress. She has a pet Ay Aye balancing on her closed fan. Next to her stands a strange dome topped figure with skeleton legs. Inside the dome is a white Albino Rook and a black rook. Another surreal image by Paul Biddle.